Our environmental efforts focus on treating water in our supply-chain and in the communities where we work. Clean water's multiplier effect on the health of populations is paramount. We focus on reducing pollution followed by treating existing water supplies. Our primary focus beyond our supply-chain will be Lake Atitlan. As we know, water is vital in every form of life, having a tarnished supply results in crop failure, livestock mortality, and health issues for humans. Those living in these communities have virtually no disposable income and any interruptions to their lives are often devastating. Alleviating this issue prevents families from incurring loss of revenue, livestock replacement, and medical treatment often related to carcinogens. That being understood we are targeting the most valuable issue in the region, that is scaleable, and relatively low-cost. Our first effort in helping the lake is our trash run program. 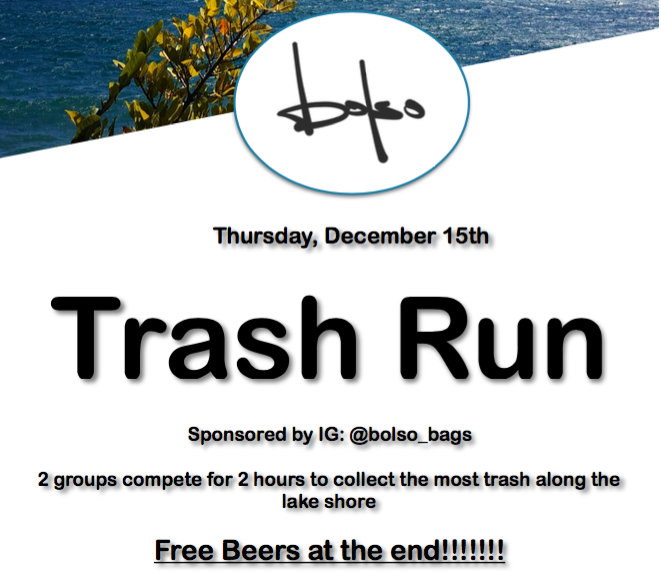 We engage locals and travelers alike in a two hour competition where two groups compete to collect the most garbage from the lake shore. We weigh the trash and the winner is crowned, and everyone gets a ribbon. The ribbons in this case are liters of beer. The first physical impact we will make is the installation of waste and recycling bins throughout town. Our bins will be constructed of corrugated recycled plastic and covered in artwork from the local school children. Our intent is to positively impact behavior by providing options. Options that currently do not exist. Having the bins designed by local children helps educate and reinforce the importance of responsibly handling our waste. This type of equipment is capital intensive and a significant decision in terms of maximum yield. 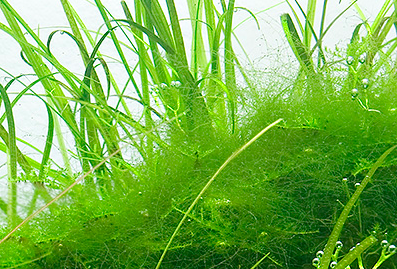 Those things being understood it will take some time before we generate a large enough budget to invest in these types of technologies, however we are evaluating solutions that would convert problematic algae into biofuels, fertilizers, and livestock feed.